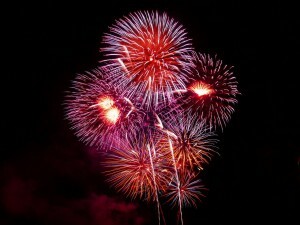 Searching for a place to watch the fireworks on July 4th in the Red River Valley? Here’s a list of the local events happening in Grand Forks, SD and the nearby communities. Featuring activities all day long, the Grand Forks Independence Day festival includes a silent auction, kids parade, games on The Greenway, and more. The 55th annual fireworks show begins at 10:30. Enjoy a full day of community parades, American eats, the 15th Annual Valley Cruisers Show, and much more at the Park River Independence Day celebration. The fireworks start at 10 PM in Big Park. You can find the full schedule of events here. On July 5th starting at 6:30 PM, enjoy live music and snacks at the Main Street Building in Stump Lake Park. Fireworks will light up the night at dusk. More community fireworks displays near Grand Forks include the Larimore Dam 4th of July fireworks and fireworks in South Pembina. Consult our Grand Forks and Red River Valley community information page to stay current on the latest news, events, and resources. If you have any real estate questions or requests, let us know!